Responsive emails and websites are all the rage. It’s a very necessary requirement in this age of smartphones and laptops, where you never know what the shape of a screen is going to be, or what orientation it’s in. A good HTML developer will know all the tricks to get an email to display well on a host of browsers and email clients, but how does that work when the template you are using is a Word document. Let’s step back and survey the email plains. Each email client interprets your email in a slightly different way. Google mail is different to Hotmail, which is different to Mac mail or Outlook. To make it all work, most HTML developers use a bag of CSS tricks to combat one against the other, making decisions on how headers or tables are interpreted and displayed. That simple, branded email you received earlier is way more complicated than you probably thought. At Operandi, we develop very user-friendly solutions in Word for the non-technical. No HTML knowledge required. Imagine just opening a Word document, editing the details and sending your new email in HTML format. This solution hides the complexities from an otherwise involved task, but results in a competent email for most general e-marketing roles. Word-generated emails are not 100% responsive, but Microsoft have done an incredible job of generating comprehensive code to tackle the most common problems, especially in the latest versions of Office. We also design and set up the templates using a number of tricks we’ve learnt that improve things even further. Email marketing often appears in the requirements list of brand projects, but most designers only see a full HTML solution as being the answer. Recently, we developed a number of Word-based templates for marketing and response uses. The templates used a modular, table-based construction that helped the user drop in, or move parts around, to get the layout they wanted. We could supply them with the overall table framework, as well as predefined colour tables for specific uses, all in the right brand colour and font formats. 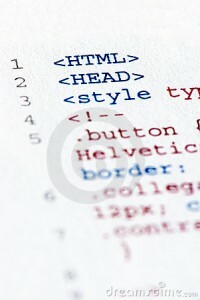 A list of type styles applied the formatting they should use, including font, size and spacing. A Word solution doesn’t require them to learn new skills or have to understand the complexities of CSS coding. This solution generally works for small marketing teams who haven’t moved up to a subscription-based service like Campaign Monitor or MailChimp, to name just two. We also developed a custom menu in Word that allowed the user to select a table or cell, choose a colour from a list menu, and apply it from the brand palette. This helped to guide the user to apply the right rules for any email they produced. A Word email template is not fully responsive. It relies on the conversion to HTML as dictated by Microsoft Outlook. Microsoft have done a great job, but the differences from one email software to the next, not least the web-based email services, make this a complicated task. A Word email template is designed specifically to be sent through Microsoft Outlook. In doing so, you send it like any other email, but the conversion to HTML is not 100% for all email clients. Simplicity is the important factor in getting the best results. We work with the designers to engineer email, and test the solution to iron out as many issues as we can find. We rely on the designers to appreciate the issues and, like many of our projects, ask them to work with us. Isn’t this exactly what a template is all about?